The buzz all started in Prague in December of 2017 when the PokerStars Players Championship (PSPC) was officially announced by Team Pro Daniel Negreanu. 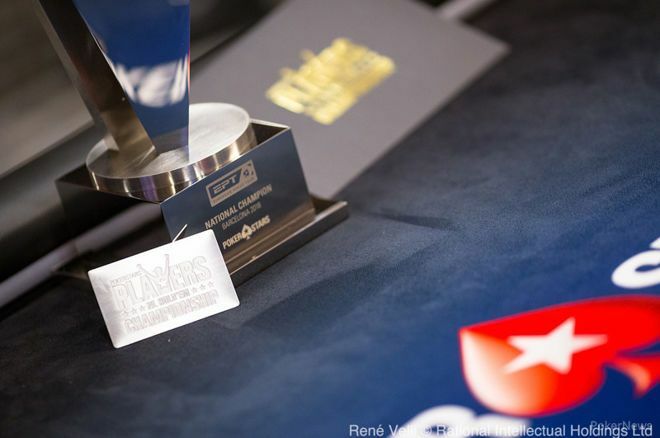 The $25,000 buy in tournament, scheduled to run as the kickoff of the annual PokerStars Caribbean Adventure in 2019, was only part of the excitement though ... Negreanu also announced the creation of the most coveted ticket in poker, the Platinum Pass. Hundreds of Platinum Passes were created to hand out through 2018, giving select players the $25,000 buy in as well as $5,000 spending money. In keeping with the idea of bringing the entire poker world together for the PSPC, many of the passes were spread around the world. Players from all over Asia, Europe, North America, South America, and even New Zealand were awarded passes in a variety of ways. Among the winners of the coveted pass were 12 Canadians. There were a few familiar names among the winners, with Negreanu himself headlining the list. He'll be joined in the Bahamas by fellow Canadian pro Christopher Kruk. Comedy legend and poker commentator Norm Macdonald scored himself a Platinum Pass, as did American import and GPI Player of the Year Alex Foxen. Twitch streamer and former Big Brother Canada contestant Arlie Shaban also managed to score himself a ticket after completing the "12 Labours of Arlie", a grueling test that put 12 challenges in front of him that culminated in convincing Joey Ingram to accept a pass and join the fun. But there were also a few less familiar names on the list of Canadians getting a shot at life changing money. Willowbrook, Saskatchewan resident Travis Nesbitt started 2018 off by quitting his job to make a go of professional poker, and just over two months later, he made it through a 20,000 person field to win a Platinum Pass freeroll. Joining Nesbitt will be Aleeyah Jadavji, who managed to book her ticket to the big event by winning a competition among poker media. The well known reporter, who has worked with PokerNews Canada, is known around the industry for her energy, putting in hour after hour on the floor during live reporting gigs. Late in 2018, however, she was hit with some difficult health news. Instead of giving in, she put that same energy into recovery and near the end of the year she underwent successful surgery. Just days later, she was nominated for, and won, the Platinum Pass reserved for a member of the poker media. The PSPC represents a potentially life changing moment for many of the entries to this massive tournament, and after five days of play, one player will walk away with the $1 million added first place prize. Action on the PSPC gets underway in the Bahamas on January 6, and you can follow all the action at the PokerNews live reporting page or PokerStars TV.